With free open web tools, billions of new users in developing markets now have the ability to publish online, says Mark Surman of the Mozilla Foundation. It is undeniable that the mobile Web can help to reduce the digital divide. Developments in this field have allowed greater access to web content in numerous countries in Africa, Asia and Latin America. But what happens when it comes to creation and participation? How do we promote an open mobile web in which local users can be active players, rather than passive consumers? 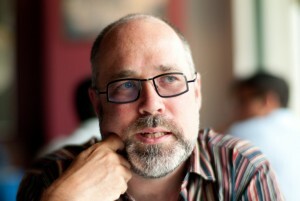 To discuss these issues, which are of vital importance for the publishing world, we talked to Mark Surman, Executive Director of the Mozilla Foundation. PP: The mobile web is revolutionizing the way digital content is accessed in the developing world. How will this affect the lives of the hundreds of millions of inhabitants of the global South, not only in terms of access but also in creativity? Mark Surman: The mobile web is allowing billions of new users to come online — by 2025, there will be five billion individuals online, many exclusively through their smartphones. But access alone isn’t the answer. To positively affect the lives of individuals in developing countries, we need to couple access with web literacy. When these users are able to create local content in their own language — like web pages and apps — it can lead to amazing social and economic opportunity. Numerous international foundations are promoting initiatives to facilitate access to digital publications in resource-poor countries, either through free connectivity (Internet.org), donation of ebooks (Worldreader) or Zero Rating Services (Wikipedia Zero). What is your assessment of these types of projects? There are many well-intentioned initiatives happening, but again: Mozilla believes access must be paired with web literacy education and open source tools that invite creativity and participation. That’s how you empower new users. In a recent paper, you defined local content as “the canary in the coal mine,” that is to say, as a good indicator of the health of the domestic digital ecosystem. How might the production of local digital publications be encouraged in developing countries? First, we need to promote the open Web in developing countries. Many individuals believe Facebook is the extent of the Internet — this locks individuals in a closed system where they must play by a specific set of rules. But when we successfully break down digital monopolies, individuals can play by their own rules online, not the rules of a select few companies. Then, anything becomes possible. We can also encourage the production of local digital publications by deploying independent, open source tools for creating. Intuitive tools can allow users to create in minutes, even if they lack coding skills. It’s also key to localize these tools for a broad set of languages, like Bengali, Swahili, Hindi and others. What are the main projects of the Mozilla Foundation in developing countries? We’re launching Webmaker this summer, a free, open source and mobile content creation platform that allows users to build (and share) apps, web pages and other media in minutes. It’s a low-bar entry — even first-time smartphone users can become inventors. And Webmaker is localized in several languages. We’re also expanding our teaching network to include Mozilla Clubs, which allow pockets of mentors and learners around the globe to get together and teach and build the Web. Details on Clubs, and our other web literacy initiatives, are at https://teach.mozilla.org/. Since the emergence of the Web (and in particular of the mobile web), the book industry has undergone profound changes. Given your knowledge of the world of the Web, how do you see the future of the publishing industry at the global level? Publishing has become increasingly democratic, and that trend will continue. Billions more users are coming online and discovering the open web — which means countless new authors now have a platform and audience to tell their story. This article about digital publishing in China appears courtesy of Alliance Lab, on whose website it originally appeared. Octavio Kulesz holds a degree in Philosophy from the University of Buenos Aires. He has worked in the publishing world since the year 2000, when he created the publishing house Libros del Zorzal, together with his brother Leopoldo. In 2007 he founded the publishing company Teseo, geared to the publication of academic texts in print on demand and e-book format. He is the author of the report “Digital Publishing in Developing Countries” (2011), commissioned by the Prince Claus Fund and the International Alliance of Independent Publishers.